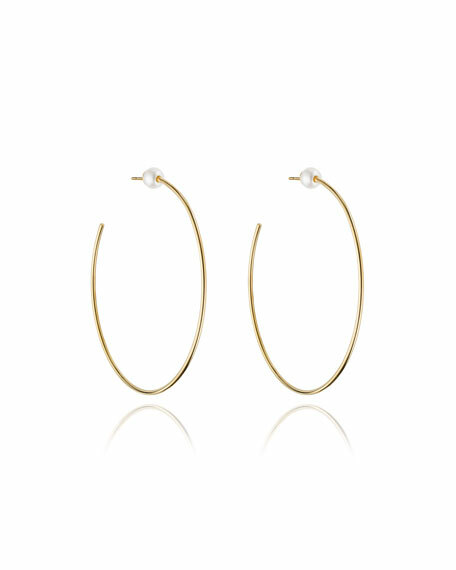 Vita Fede "Sfera" hoop earrings. Naturally colored, freshwater pearl stud. For in-store inquiries, use sku #2282965.